Whispers in the Loggia: Gotham's "Ides of May"
In recent weeks, as buzz of a coming handover at the helm of the archdiocese of New York picked up steam in the city press and church circles far beyond the "capital of the world," Cardinal Edward Egan's inner circle has held to the line that any talk of the Boss' imminent retirement was "way, way overblown." Thirteen months past his 75th birthday, with Egan reported as saying that his occupancy of 452 Madison could continue for "some time," possibly as long as two more years, the cardinal backed up the talking point early last week by rolling out a list most estimates have placed at an unusually-high 47 clerical transfers -- precisely 10% of New York's active presbyterate, about twice the customary size of the routine spring reshuffle, and a figure described as a "record" for recent years. Suffice it to say, the moves were even news to the personnel board... among many others. Yet while a few of the placements have been deemed "inspired" for making solid matches of priests with places that would benefit much from their particular skill-sets, word among the natives said that several of the rest -- including the reshuffling of some pastors midway through their canonical terms -- bore the distinct odor of appearing, as one cleric put it, "unjustly punitive." After the appointees were notified in calls from 1011 last Monday and Tuesday, the message quickly spread that "pastors are being called by their replacements and finding out that they are being replaced"; to boot, the usual protocol of transferred parochial vicars going for a pre-appointment interview with their new pastors likewise seemed to be suspended. In terms of its execution, almost to a man, a number of the guys recalled the "Ides of March" -- Egan's brutta figura shake-up of St Joseph's Seminary in 2001. In circles of every stripe, the dominant reaction -- both from those being moved and those staying in place -- has been a mix of sadness, pain, malaise and even lower morale. One veteran pastor observed that, a month removed from the renewed hope of Pope Benedict's visit to the Big Apple, the mood of the presbyterate had fallen again, this time to "the worst I've ever seen it." Among the transferred, a handful are said to have sought out canonical counsel, and reports point out a number of others -- with estimates running as high as seven -- who have either rejected or sought to appeal their moves, despite being told that they had no choice in the matter, all as another longtime player voiced the fear that "we might just lose guys over this." The full slate not yet publicly revealed in the pages of Catholic New York, the showdown over it is but the latest public outbreak of longstanding tension between Egan and his priests, which last openly climaxed in October 2006 with the circulation of an anonymous letter among the clergy calling for a vote of no-confidence in the cardinal. Then as now, the first body that'll face Egan is his presbyteral council; as of press, a previously scheduled Thursday meeting is still slated to take place. In the meantime, the New York Times is also said to have the story, which could run in its pages as early as tomorrow. I know quite a few details about who is moving where and when, but can’t share them because I don’t want any priests I’ve spoken with to be identified. I know that some pastors have told their parishioners during the past few days that they’re leaving. In several places, people may be gearing up to protest the transfers. On a related note, what the Gothamites have unanimously tipped to be Egan's retirement pad is said to be nearing completion. Located on 33rd Street near 2nd Avenue, the former convent of the now-closed parish of Sacred Hearts of Jesus and Mary was kept by the archdiocese to maintain a Catholic presence for the health-care workers at nearby NYU Hospital. While the renovated building will keep its public chapel and have living space for priests in full-time hospital ministry, its most-prominent feature is a sizable new apartment which, according to the official plans, was being constructed for the use of visiting dignitaries, with the potential of serving as long-term lodging. Situated as it is on the East Side, the residence is an easy drive from the chancery, St Patrick's Cathedral and the city's airports. With the cardinal said to be unusually interested in the project's progress -- even "down to the tiles," according to one op -- the paint was reported to be on the flat's walls before the weekend of the papal visit. News of the moves — which started circulating among local priests over the weekend — was seen by various priests as either a much-needed shift, a settling of scores or last-minute changes before the cardinal leaves his current post. Although he is 76, one year past the mandatory age to submit for retirement, the Vatican has yet to name his successor. Interviews with nine priests — including several who have served in significant administrative roles under previous archbishops — revealed continued dissatisfaction with the cardinal’s management style. They said Cardinal Egan had not only disregarded the personnel board in recent years, but had also failed to provide any guidance on how to handle the transition for those priests and congregations affected by the transfers. Many priests said that had ultimately affected morale — a precious commodity among an increasingly aging and overworked clergy. Calls to three pastors known to have been reassigned were not returned. Another declined to comment, saying he hoped to appeal the decision. Some of the pastors — who under church rules are assigned to six-year terms — were reassigned before their term was up. It is unclear how many of them have informed their congregations of the moves. Some of the priests interviewed said several of the moves were overdue in the case of long-serving pastors or necessary to make room for newly ordained priests. 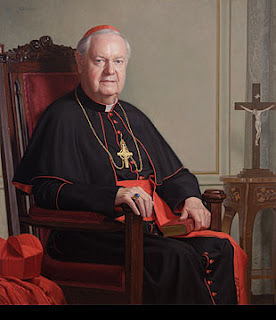 Still, many priests noted that in recent years, Cardinal Egan had ended the practice of sending notices of parish openings to all clergy who might either be interested or know of someone who would be good for the job. "No one knew it was coming," said one pastor who was reassigned. "We haven't been given a reason, and many of us are terribly confused about what's taken place. It's kind of unprecedented, really." The pastor, like several other priests interviewed, did not want to be identified because he was concerned about retribution. Word of the reassignments has started to spread in recent days, and some parishioners and others are planning to protest the moves. The reassignments will not become official until the affected priests receive letters from Egan. Parishioners at St. Gregory Barbarigo Church in Garnerville have started an online petition to protest the removal of their pastor, the Rev. Robert McKeon. "Without Father's leadership, many residents will look to leave our area and further depress our community," it reads, in part. Parents at Kennedy Catholic High School in Somers met Sunday to plan how to fight the reassignment of the school president, the Rev. Stephen Norton, a veteran educator, to a parish in Hopewell Junction. Norton said he appreciated the parents' support, but added that he must look at the chance to be a parish pastor as a good thing. "This was a major surprise to me," he said. "I'm trained as an educator and have spent my adult life as a teacher. You can look at it and say, 'Why the change?' But I promised on the day I became a priest to be obedient to my bishop - the cardinal. If he needs for me to do something for the archdiocese, I'll do it. I don't think the archdiocese, especially the cardinal, sees this as anything but a positive." Not everyone sees things that way. A common view expressed by priests, those affected by the moves and others, is that Egan is settling scores before his expected retirement. Egan reached the retirement age of 75 last year, but the pope has not yet accepted his retirement. "What does it appear to be about?" said one pastor who is being reassigned. "Rewarding the priests he likes and punishing the priests he doesn't. It appears that way." This pastor said several priests being reassigned in the middle of terms are looking into obtaining the services of canon lawyers to fight their transfers. Several priests also said the archdiocese's priest personnel board, which consists of six priests elected from different regions, has requested a meeting with Egan to discuss the reassignments. Joseph Zwilling, spokesman for the archdiocese, said in an e-mail that he did not know how many priests were being reassigned and could not comment on specific assignments. "However, the normal reason for any assignment is to meet a pastoral need," he wrote. "If any priests have been reassigned in the middle of their term, then I am sure it was to meet a particular pastoral need." Monsignor Harry Byrne, a retired priest living in the Bronx who often speaks his mind when other priests feel unable, said these reassignments were handled differently from those in the past, when pastors whose terms were ending could usually apply for an open parish. "There is a certain amount of arrogance and highhandedness involved," Byrne said. Another priest who is not directly affected but has closely followed the moves said the reassignments would be remembered for a long time. "I have never seen morale this bad," he said. "I talked to a guy today who is absolutely broken." "All in Our Little Backwater"